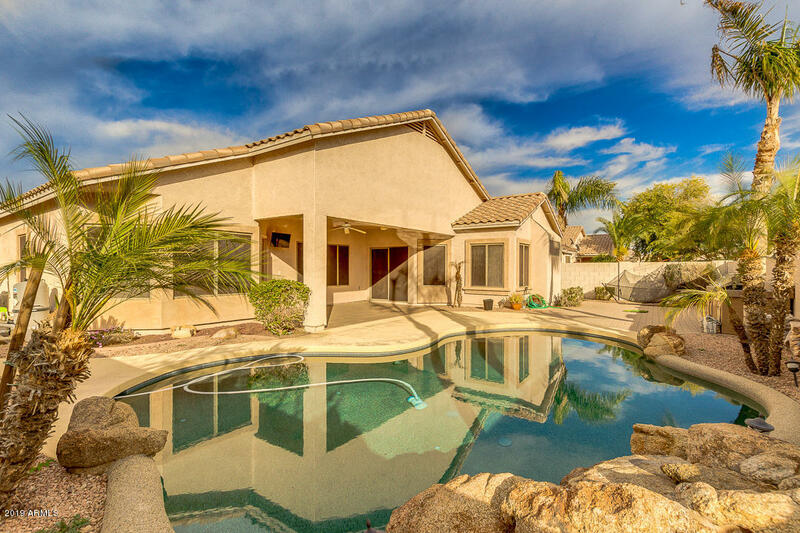 All RAVEN RANCH homes currently listed for sale in Gilbert as of 04/22/2019 are shown below. You can change the search criteria at any time by pressing the 'Change Search' button below. "This beautiful single story home with pool a 3 car garage has it all! This home boasts 3 bedrooms plus a den that can be converted into a fourth bedroom. This home is an entertainers dream with built in speakers in formal living area, family room, master bedroom, office and back patio. The resort style backyard has a pool w/water feature, pavers, built-in gas grill and a built-in charcoal grill/smoker! Very private yard with north/south exposure. Side yard has a sidewalk leading from backyard t"